BCNA’s Helpline includes experienced cancer nurses who provide support and information. Though the Helpline can’t provide personalised medical advice, the team can talk to you about concerns you may be experiencing and refer you to support available to assist you. Here, the Helpline answers some common questions about breast cancer and treatment. I’ve been diagnosed with metastatic breast cancer. What questions should I ask my treating team to make sure I know about all the possible treatment options? Treatment recommendations are based on a variety of factors, including where in the body the cancer is, the type of breast cancer (e.g. hormone positive) and any prior treatment you may have had. Recently, a number of new approaches for treating metastatic breast cancer have emerged that are providing more options. Sometimes a doctor may not discuss a particular treatment option or test because it is not available at their hospital, or is only available at considerable cost. We encourage people to ask their medical oncologist to tell them about the different treatments available for their situation, including current research being conducted and whether a clinical trial could benefit them. It is also vital that people discuss with their doctors what is most important to them regarding their treatment goals or outcomes, including side effects of treatment and effect on quality of life. A clinical trial may allow you to access a treatment that is not otherwise available, but which may give you better quality of life and longer survival. If you are interested in participating in a clinical trial, you should ask your oncologist about your eligibility. Information about what is involved and what to consider before participating in a clinical trial can be found at australianclinicaltrials.gov.au. You can also use this site to search for current clinical trials. I am worried about getting nerve damage as a side effect of chemotherapy. Are there any complementary therapies or supplements that could help me? Peripheral neuropathy is the term used for pain and discomfort caused by damage to nerves of the peripheral nervous system, such as nerves in the hands and feet. A common side effect of a number of chemotherapy drugs, especially taxanes, it is often referred to as chemotherapy-induced peripheral neuropathy (CIPN). Damage to the nerves can cause sensory changes such as altered sensitivity, intermittent pins and needles, numbness, sharp stabbing pains, difficulty using hands and trouble walking. The changes may be mild and intermittent, last for a number of months, or may develop into a long-term problem. Currently, there are limited evidence-based treatments for CIPN. Medications such as Gabapentin, Tegretol and Endep are often used to help reduce pain and discomfort. Given the negative impact of CIPN on a person’s quality of life, it’s easy to understand why people are willing to explore whether complementary therapies could help reduce or prevent unwanted side effects. A recent study examined the effectiveness of a supplement called acetyl-L-carnitine (ALC) versus a placebo (a substance that has no therapeutic effect and is used as a control) in women having a taxane chemotherapy for early breast cancer. ALC is an antioxidant involved in the breakdown of toxic metabolites, which had previously shown promise in preventing CIPN in preclinical trials. using a validated scale at regular intervals. Instead of an improvement in the symptoms of CIPN, the group taking the ALC supplement actually experienced an increase in CIPN compared to those receiving the placebo. Continued monitoring of the participants showed the CIPN symptoms were still present a year after the 24-week trial was discontinued. Importantly, this study highlights the need for caution in the use of supplements to prevent or treat the side effects of chemotherapy. High-quality studies are needed to evaluate strategies for prevention and management of CIPN. We recommend you discuss any questions or concerns about the side effects of treatment with your oncologist and report any changes you experience so that modifications can be made to your treatment to avoid distressing side effects. For more information about this study, see JNCI: Journal of the National Cancer Institute, Volume 110, Issue 6. Call our Helpline on 1800 500 258 for free and confidential information, support and referral. You can also contact our Helpline by emailing contact@nullbcna.org.au. 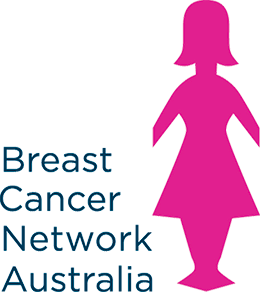 You can join our online network at bcna.org.au/onlinenetwork.